CHAMPIONS Dynamos received just the kind of boost they probably needed ahead of the start of the 2015 season when talented midfielder Ronald Chitiyo agreed terms to extend his stay at the Harare giants at least until he revives his expected move to South Africa later this year. Chitiyo’s initial contract with Dynamos expired on December 31 last year, with the former Monomotapa man then reportedly inking a two-year deal with South African National First Division side Royal Eagles. It is understood that some complications had arisen on Chitiyo’s deal with Royal Eagles after the forward failed to secure a work permit in time for the closure of the transfer window. Chitiyo had an option to sit and wait on Royal Eagles between January and July and until he had become eligible to play for the First Division outfit, although that would have pegged back his career. The diminutive midfielder, who also felt that “home is best’’ will this morning resume training with Dynamos after he thrashed a new deal with the DeMbare management that is expected to keep him at the champions at least until July. Last night the player insisted that his heart would remain with Dynamos as long as he is on the local front. “I am going back to Dynamos. I believe it is a wise decision rather than join a new local team. I opted to go an environment I had become used to. “I was supposed to have started playing in South Africa in January but that didn’t materialise so right now I have to focus on what is there and ensure that I help Dynamos to the best of my abilities. “I will focus on the South African game when the time comes,’’ Chitiyo said. Chitiyo said he was relishing the opportunity of reviving his romance with the Dynamos fans. “At each and every team no matter how big or small supporters play a big role and I really enjoyed the support of the Dynamos fans, it always pushes you to work harder,” said Chitiyo. Although Dynamos have lost some of the players who were key to the Harare giants cantering to their fourth straight championship under Callisto Pasuwa, Chitiyo said he was happy that there were also still a number of familiar faces that he would meet at the training ground. “Last year we had a big squad and it is good that there are still a number of players from that squad so we won’t be having a totally new team, we still have guys I played with at the club,’’ Chitiyo said. Dynamos president Kenny Mubaiwa in confirming Chitiyo’s return last night, said they were now bidding to persuade the midfielder to even stay longer than the initial agreement they have with the player. 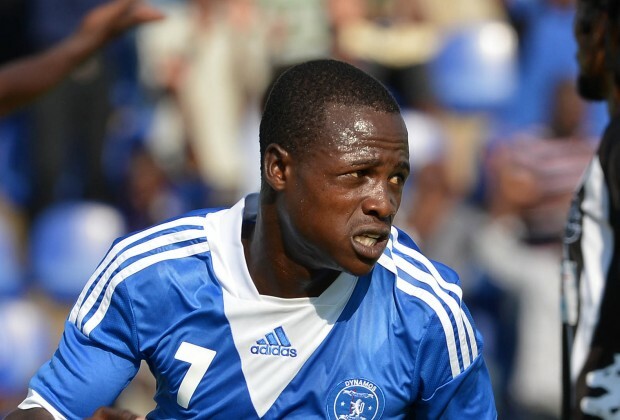 “Yes Chitiyo is back and we have been talking to him to stay and develop his game at Dynamos. “We believe that he needs to be just patient and then he can go to South Africa or Europe, we believe his time will come and as Dynamos we will give him the platform to build on his career and make sure he is really ripe. “He needs the game time and sometimes money isn’t everything. We would not want him to fall into the same problem like some of the local players who went to South Africa and lasted just a few months before being sent back home”.